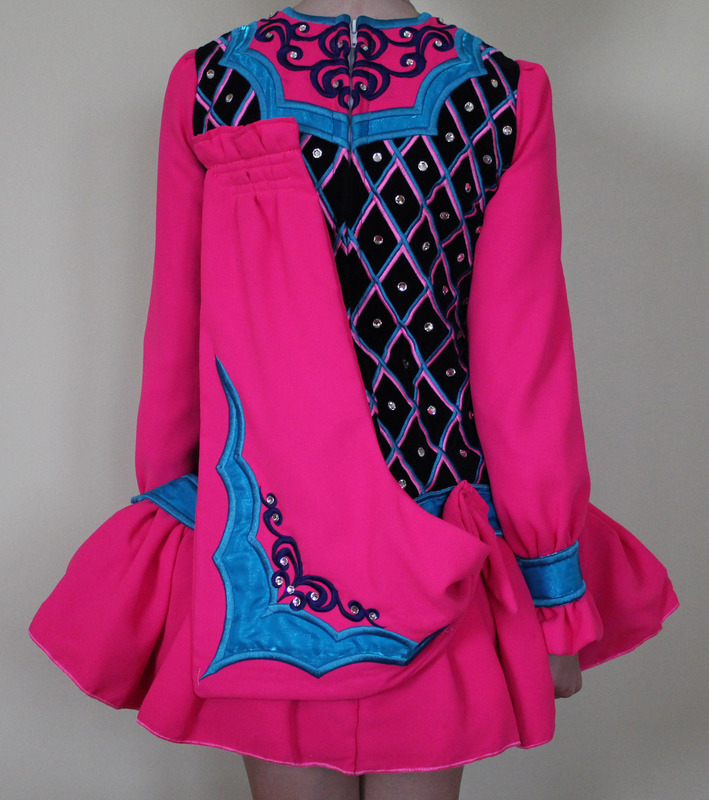 This beautiful Doire dress was purchased new for the 2012 Oireachtas and is just over one year old. 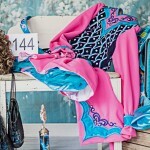 It it made of a hot pink velvet with a dark blue bodice and light blue embellishments. It has been worn approximately 10 tens and is in beautiful condition. The dress comes from a smoke free/pet free home and has no odors or stains. 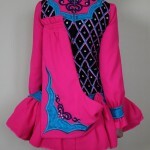 It is suitable for ages 12 to 15, and it comes with matching bloomers and headband. 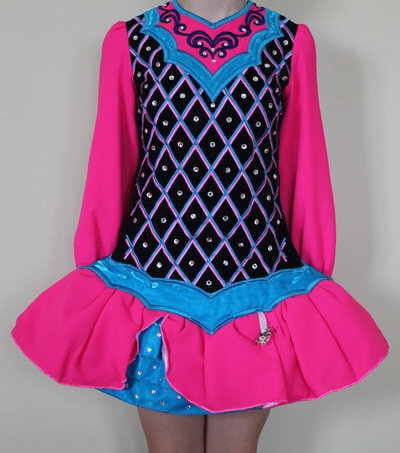 The dress is featured on the Goin’ Feisin’ blog and FB page and is easily recognizable. Asking Price: $US1,100. Shipping costs are: Are not included in the asking price. Will accept returns and refund the cost of the dress, buyer to pay all shipping costs.